One fob is an attractive matte black, the other has a tastefully understated architectural grid pattern. The Hugo Boss 'Grid' range uses an architectural grid pattern as a nod to urban elegance. 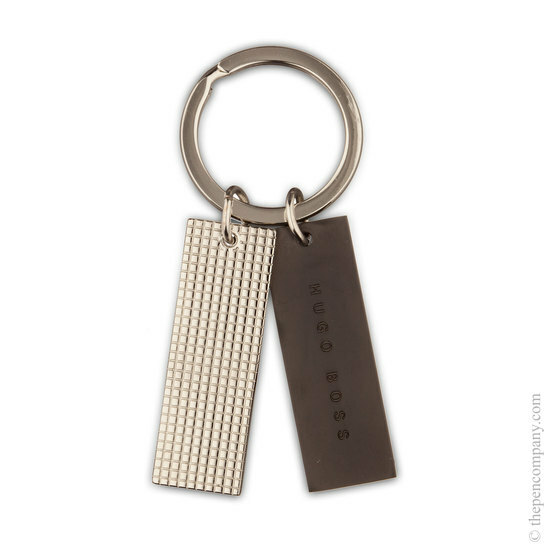 This key ring features a ring with two metal fobs. 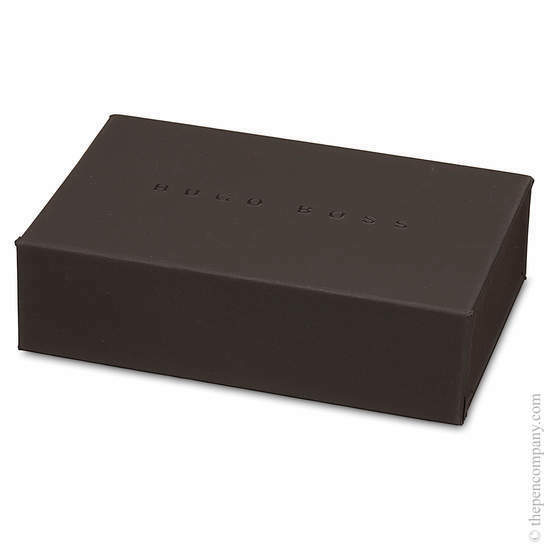 One fob is finished with a tastefully understated architectural grid pattern, the other is an attractive matte black and carries the distinctive Hugo Boss logo.